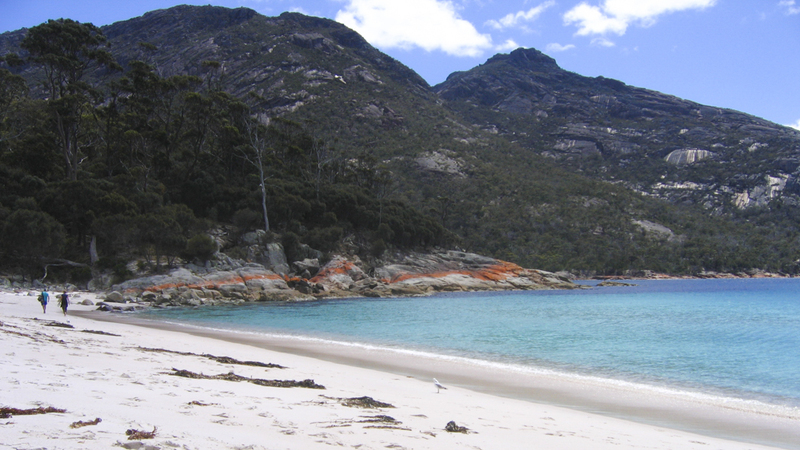 Renowned for its crystal blue waters and fine quartz sand, Wineglass Bay is the main attraction within the Freycinet National Park of Tasmania’s east coast. The 2 hour, 5km return walk to the beach is a must for all visitors to the Park. The trail is well constructed and amazingly accessible for walkers of all levels. From the main car park the trail meanders through bushland while gently climbing to the saddle between Mt Amos and Mt Mayson. Once at the saddle a short recommended sidetrip will take you to the Wineglass Bay Lookout where fantastic views of Mount Freycinet and Wineglass Bay are offered. Continuing on from the saddle, the trail heads downwards to Waterfall Bay. A number of steep but short sections are included in this section however the trail is well defined and easily managed. A further 30 minutes walk will take you to the southern end of the beach where lovely views back towards the Hazards are offered. Return to the car park via the same route to extend your walk by taking in Hazards Beach circuit back to the carpark. View Google Map Directions Freycinet National Park is 195km from Hobart and roughly 3 hours drive. From Hobart take the Tasman Highway (A3) through Sorell and continue up the East Coast. This highway takes you the majority of the way until you reach the turn off to Coles Bay Road (C302) 12km before Bicheno. 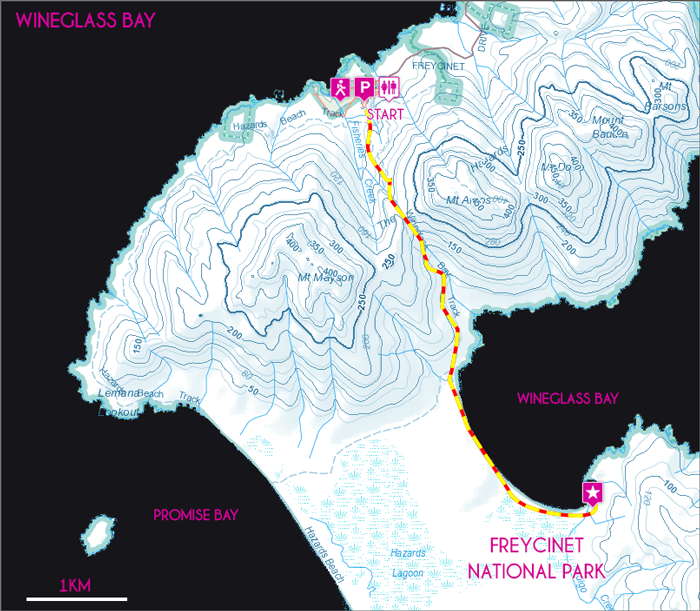 Continue for another 20km, passing through the township of Coles Bay to reach Freycinet National Park. 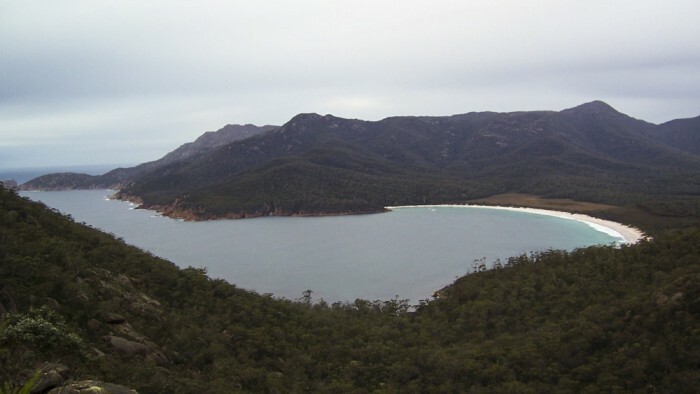 The Wineglass Bay walk begins from the main carpark.